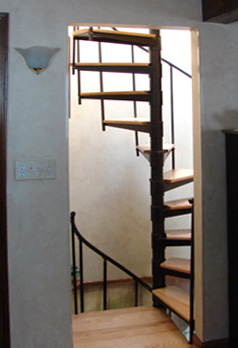 Spiral staircases have been used for hundreds of years and are still popular today. 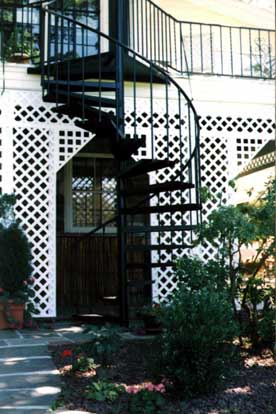 Depending on the style you choose, your spiral staircase can create a uniquely modern or contemporary look or classical antiquity appearance. 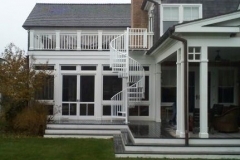 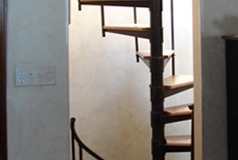 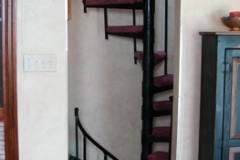 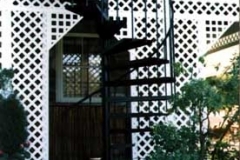 And here at Acadia Stairs we build custom spiral staircases and open riser stairs in Connecticut and NYC to fit into your home’s needs and style. 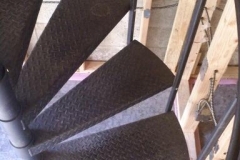 Spiral stairs differ from curved stairs in that they curve around a single, vertical rod. 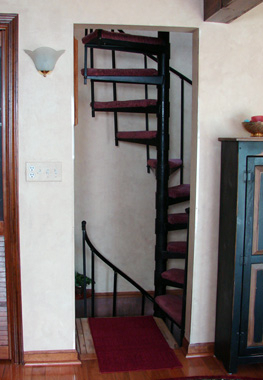 This allows spiral stairs to cover vertical distances with a small amount of space available, without creating too much steepness. 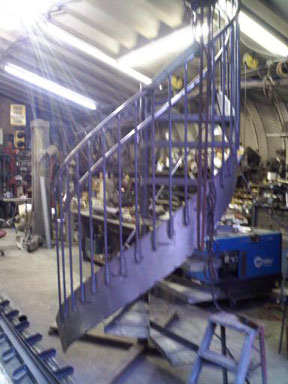 Acadia Stairs fabricates modern and contemporary spiral staircases with the steps, design, railing, color and other features you designate. 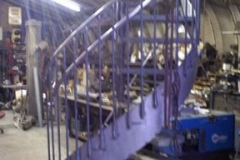 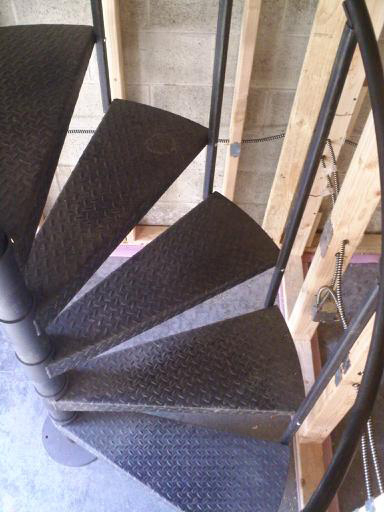 These stairs are fabricated at our shop and then shipped to you with careful instructions for assembly. 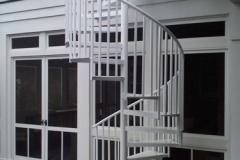 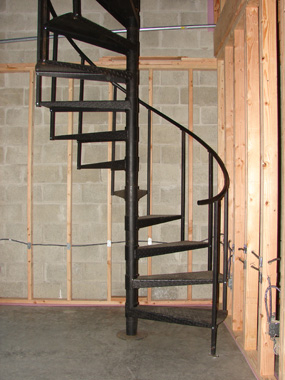 Once fabricated and with the instructions in hand, spiral staircases are easy to assemble and safe to use. 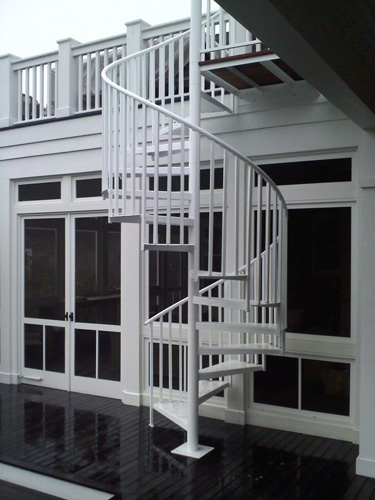 Take a look at the many spiral staircase designs to find the right style for your home or business. 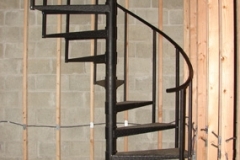 Contact Acadia Stairs for more information on custom spiral staircases.